When I started Gabby Communications, I had no idea that my services would evolve into a robust professional writing and career support company. Many thanks to each and every one of my clients. It's an honor to work with talented professionals. 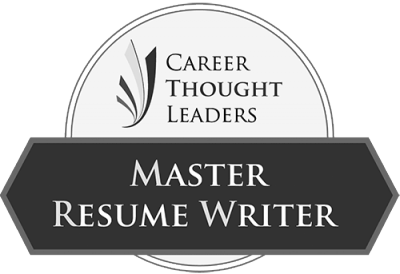 I write, coach, and present information on resume writing, career advancement, networking, negotiations, career transition, job search, interviewing preparation, and personal branding. It’s an honor helping clients build their image word by word. Early in my career, I enjoyed 15+ years of employment at Hewlett Packard, Konica Minolta, Proven Systems, and Performance Health Solutions in roles such as marketing product manager, communications specialist, marketing director, operations manager, and vice president of operations. In addition to owning Gabby Communications, I’ve also co-founded a few other companies. Partnering with clients to enhance their brand is my specialty. Over the years, I have created thousands of cover letters, resumes, LinkedIn profiles, and other career documents for a variety of professionals, managers, and executives. My approach, process, and writing style are a few reasons why professionals trust me and my efforts have resulted in writing awards. Examples of my work are included in publications such as Modernize Your Résumé, Modernize Your Cover Letter, Gallery of Best Resumes, and articles including Career Communications for Introverts, Technical Resume Strategies, How to Avoid Resume Writing Scams and Five Questions to Design or Redefine Your Private Practice. Presenter: Career Thought Leaders (CTL), Colorado Career Development Association (CCDA), National Career Development Association (NCDA), National Association of Workforce Development Professionals (NAWDP), The National Résumé Writers’ Association (NRWA), and the University of Northern Colorado, Career Confidant Podcast, Colorado SHRM State Council, UNC Chapter, and Northern Colorado Networking Group. Trainer: The National Résumé Writers’ Association (NRWA), Colorado State University, Career Thought Leaders (CTL), Resumes for Heroes, Colorado Department of Labor, and Career Bridge Institute. Previous Board Member Roles: Career Thought Leaders, NRWA Experienced Business Industry Leader, NRWA Education Chair, and NRWA Secretary. Article contributor to national and international publications: National Career Development Association (NCDA), Career Planning & Adult Development Journal, Andrew Hudson’s Job List, Health Jobs Nationwide, AARP, SQL career day, and eHow. 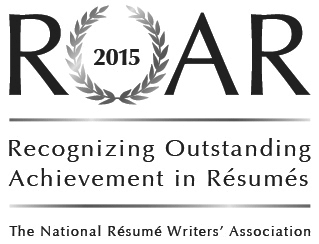 Memberships Include: The National Résumé Writers’ Association, Professional Association of Résumé Writers and Career Coaches, Career Directors International, Career Thought Leaders, and International Webmasters Association.